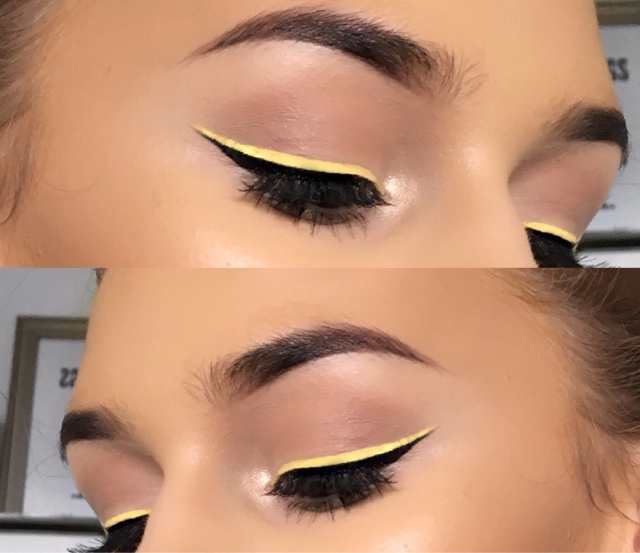 When I visited my nearest NYX counter recently I picked up the Vivid Brights Liner in Vivid Halo and remembered a look that Desi Perkins did a long time ago (link here) that I wanted to recreate which is this double wing with black and yellow liner. After priming my eyelids and applying a cream coloured eyeshadow (as usual) I used a MAC 224 brush and the Makeup Geek eyeshadow in Creme Brulee and buffed this into the crease using forwards and backwards motions and then bringing it down onto the lid as well. I wanted the liner to be the focus of this look so I kept the eyeshadow to a minimum but I still wanted some depth and dimension in the crease. 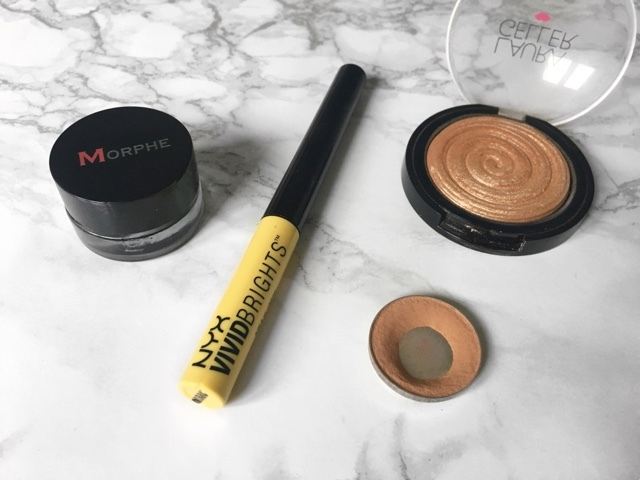 Then using the NYX Vivid Brights Liner in Vivid Halo I did a winged eyeliner thicker than I would usually as I was doubling up on colours. This liner was way more pigmented than I expected (I only used one layer) and went on super easy as the tip was very precise. 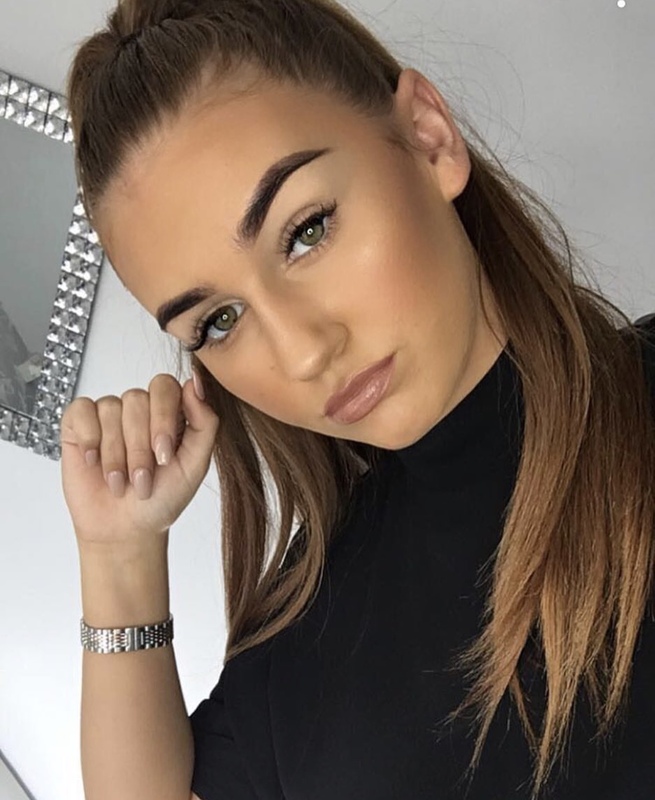 After the yellow liner was dry I used my trusty Morphe Gel Liner in Slate with a MAC 210 brush to create a smaller wing closer to my lash line than the yellow, for this step it's better to start off thinner and work on it to get the desired shape which should be parallel to the yellow liner. After the liner was dry I popped on some mascara and a pair of Ardell Demi Wispie Lashes, I kept the lashes as natural as possible so that the liner was the main focus. Finishing the look off I used a pencil brush to apply Laura Geller Gilded Honey into my inner corner. 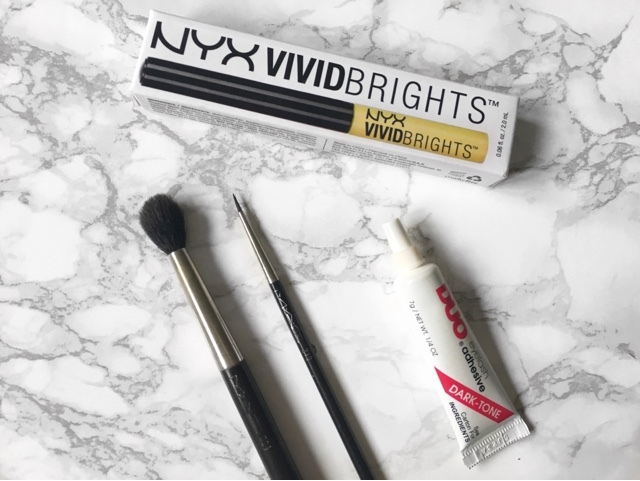 Let me know if you've tried the NYX Vivid Brights Liners in the comments!